If India is known for its diversity of food, attire and culture, it is equally multifarious when it comes to arts and crafts. 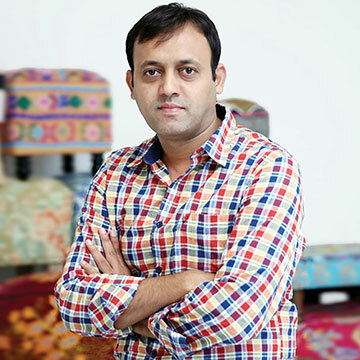 In 2015, on identifying a huge potential for custom-made hardwood furniture, Lokendra Singh Ranawat joined hands with his brother Virendra and their childhood friends Dinesh Pratap Singh and Vikas Baheti to launch Wooden Street, a furniture customisation website and app. It enabled users to customise furniture online, based on available designs, or place a request for furniture to be built from scratch. Ranawat hails from a Rajput family and was exposed to Rajasthan’s rich history of woodwork and craftsmanship from childhood. His early years were also marked with frequent travels across India, as his father was a naval officer. “India is rich in diversity, so you cannot have the same type of furniture everywhere. Add to that the different personalities of people from all walks of life… We wanted to let people change the aesthetics and functionality of their products, and that idea gave birth to Wooden Street,” he explains. Prior to embarking on this joint entrepreneurial journey, all four friends held well-paying positions at notable companies. 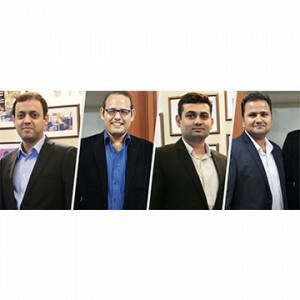 Armed with impressive academic backgrounds, tremendous work experience and crucial skill sets, they readily quit their jobs to float the start-up. Ranawat holds a Bachelor’s degree in Electronics and Communication Engineering from Gyan Vihar School of Engineering & Technology, Jaipur, and an MBA in Sales and Marketing from ITM, Ghaziabad. His grasp over digital marketing led him to launch Cognus Technology in the UK. 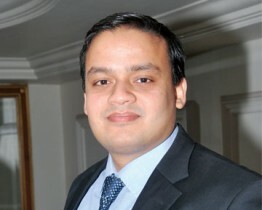 He also has 10 years of experience in sales and marketing from Birlasoft Ltd in London and Axis IT&T, Delhi. His brother, who handles the finance department, is an engineer with an MBA from IIMM-Pune and has worked for eight years with Tata and Energo. The other two founders also bring indispensable skills to the table. 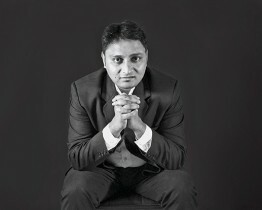 Singh, an alumnus of MNIT-Jaipur, holds an MBA from IIM-Kozhikode, has worked with Procter & Gamble in Singapore and CSC in India and is adept at procurement and general management. Baheti, a finance graduate, contributes his invaluable expertise in furniture sourcing and manufacturing, having worked with the likes of Dell and Vertex. Wooden Street initially operated out of a tiny workshop in Jodhpur, manned by a team of 10. Within the first few months, it was shortlisted among the six most innovative start-ups at TechSparks by YourStory. The following year, recognition came in the form of the Times Excellence Award by Hindustan Times and the Times Entrepreneur Award by The Times of India. Today, the company operates out of physical offices in Delhi, Mumbai, Pune, Bengaluru, Chennai, Hyderabad and Jaipur, with furniture manufacturing units in Jodhpur and an upholstery unit in Jaipur, and has over 200 on its roster. Undeniably, the main factor that contributed to the company’s rapid growth is user-friendly online shopping experience. After understanding the customer’s requirement, a team of expert designers jots down the designs in 2D and later in 3D. The design is shared with the customer along with a choice of hardwood finishes, fabric types and colours, after which the manufacturing process begins. The finished product is put through a quality assurance check, before it is packed and delivered. Ranawat attributes their growth to the core team’s collective knowledge and understanding of the furniture market. Marketing-centric knowledge acquired from previous jobs has helped too. “Our team members are knowledgeable, dedicated and result-oriented in their respective domains. They know how to strike when the iron is hot,” he says. Online marketing has also played a big role in getting the word out to the masses. “With social platforms like Facebook and YouTube, we were able to showcase our services,” says Ranawat. Today, the team at Wooden Street also understands the importance of having a tangible presence. In line with its current expansion phase and philosophy of staying relevant in this experiential age, the company relies heavily on bricks-and-mortar sales facilitated through two Wooden Street stores each in both Bengaluru and Jaipur, and one store each in Mumbai and NCR. Building the company from scratch was by no means an easy feat. 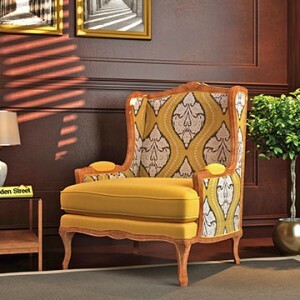 “Our biggest challenge was to set up a supply chain for heavy furniture pieces. It’s necessary to ensure that these pieces reach the customer without damage, and this requires a lot of effort. It took a lot of hard work. Once we overcame this, the rest was smooth sailing,” says Ranawat, whose company now boasts delivery centres in over 30 Indian cities. Even after having served well over 2,00,000 satisfied customers, every day brings new targets to be met, obstacles to be navigated and competition to be dealt with. 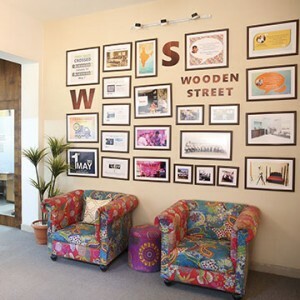 So how does Wooden Street stay afloat in the sea of e-commerce furniture companies? “Customisation is at the core of Wooden Street and, hence, is our USP. But we don’t want to limit ourselves to just that,” he explains. Wooden Street is foraying into décor furnishings and interior design solutions as well so that it becomes a one-stop-shop for everything related to interiors. Wooden Street has recently raised USD 1 million in Series-A round funding. The funding was led by Rajasthan Venture Capital Fund (RVCF), and the investment overseen by Growth India Fund. Future plans, as of now, include launching 10 more experience stores across India in a span of 12 months, while interior design solutions are already being offered at the Mumbai and Bengaluru stores. If there are important takeaways from the extraordinary growth of Wooden Street, it’s that mass customisation trumps mass production, and that—big ideas aside—passion and hard work lead to success. Wooden Street has achieved a lot in a short span of time though it still has a long way to go. But Ranawat and his team are ready for it.